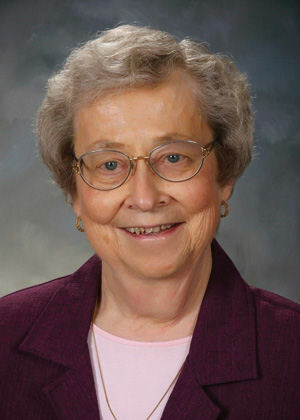 Sister Mary Crimmin, BVM (Agnes), 83, of 1050 Carmel Drive, Dubuque, Iowa, died Sunday, Jan. 20, 2019, at Marian Hall. Natural burial Rite of Commitment was Tuesday, Jan. 22, 2019, with burial in the Mount Carmel Cemetery. Memorial service will be Monday, Jan. 28, 2019 in the Marian Hall Chapel. Sharing of Memories will be at 10:30 a.m., followed immediately by a memorial Mass. Sister Mary served the congregation as regional representative, assistant administrator of the Motherhouse, and BVM life facilitator for the Mount Carmel Retirement Community, all in Dubuque, Iowa. She served in parish ministry in Chicago; Evanston, Ill.; and Crystal, Minn., and in Hispanic ministry in Kankakee, Ill. She was an elementary teacher in Casper, Wyo. ; Grayslake, Ill.; and Chicago where she also worked as an adult education teacher. She was preceded in death by her parents, a brother Patrick, brother-in-laws Steve Morgan and Bob Wermes . She is survived by sisters Marcella Morgan, Elgin, IL; Loretta Wermes, Shorewood, IL; and Frances (Frank) Lyne, Wheaton, IL; nieces and nephews; and the Sisters of Charity, BVM, with whom she shared life for 65 years. Memorials may be given to Sisters of Charity, BVM Support Fund, 1100 Carmel Drive, Dubuque, IA 52003 or online at https://www.bvmcong.org/support_donate.cfm. Leonard Funeral Home and Crematory, 2595 Rockdale Rd, Dubuque, IA 52003 is in charge of arrangements.